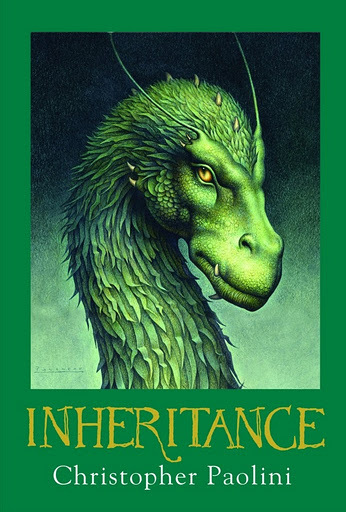 A Literary Odyssey: Review: The Inheritance Cycle by Christopher Paolini. It seems to me I'm following as similar pattern as you have. I read Eragorn and Eldest together. Bought Brisngr years later when it came out, and I've still to go past the first few chapters. The first two books really drew me in. But, if memory serves me right, the pages of pontification were showing alarming signs of growing towards the end of Eldest. I had been planning on re-reading the first two books, moving onto the third and then getting m,yself the last one. However, I think you've helped me save precious time. The Inheritance reviews that I have read have not been positive at all. For Christmas last year, I got lovely hardback editions of the first three books. I haven't started them yet, I haven't felt a pull to start them and your review hasn't convinced me either! I think most readers will agree with you, Allie and Risa. I definitely do. While I really loved the first book (it had everything a good fantasy book is supposed to have) my amazement faded gradually throughout Eldest. Yes, there were still thrilling and gripping parts but Paolini's tendency to describe EVERYTHING (and I mean that literally!) started to show. Also he started writing all those unnecessary and sometimes lethally boring side stories (I'm thinking of Roran's adventures here in particular. Anyway, it was the third book that really disappointed me. Not only did I expect it to be the end of the series, I also couldn't get rid of the feeling that the author was writing just to fill the pages: there was so much UNNECESSARY stuff! In my opinion the decision to write a third book was made on financial base, the more books you produce the more money you get. Despite his lack of experience I don't think Paolini is a bad writer, I only think that money is more important than literary quality for him. His fourth book has been resting on my shelf for a few weeks now and I have to confess that I have no intention to read it soon. I don't want to be disappointed at Christmas! I considered trying out this series when the first book came out (I like dragons!) but never got around to it, and as the years have passed and I've heard more about the subsequent books, I guess I'm glad I never bothered. It's too bad though you had to experience this disappoint with a story you thought had potential. Hopefully your next reads are better! I didn't read it when it came out, because he was 15 and I had a hard time believing it would be worthwhile. Everything I've heard since then has only confirmed that, so I'm glad I read Brandon Sanderson's awesome incredibly-long fantasy instead. I tried reading book three, but it was a lot cause. I'm actually really glad you posted this and that you were honest about your disappointment with the series. I tend to be a completist and hate starting a series and not finishing it. I read the first book years ago and quickly bought the second when it came out. I was waiting to read it once I got my hands on the 3rd and 4th and could read them all together. Frankly there are just too many great books out there. If I know, from someone who's reading tastes I trust, that the series just heads down hill from here, I'd much rather skip the whole thing and read something else. So long story short... thanks. I read Eragon when it first came out because a friend INSISTED it was God's gift to fantasy literature. I hated it. 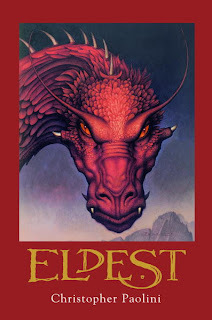 I would have hated it more, but the fact that Paolini was only 15 made me WANT to like it...just a little. As an editor, what really irritates me about this situation is that Paolini's editor didn't work harder to shape and perfect. Paolini brought the raw materials but didn't have the experience to properly execute the story. A good editor could have done wonders. It's a shame. Did he even have a valid editor? He didn't even need to send his books to any publishing house, his parents published them for him, and that's what bothers me. Part of becoming an author has a sort of 'rite of passage', when you send your books to publishers. Will they like it? Will they not? Will I have to fix the story to make them willing to publish it? Paolini completely flies passed this because his parents just publish it for him, they have their own publishing place. This could have been me writing your story (only it wouldn't have been as articulate). I read the first three books and was so happy about them - the story is just so good! Last month I decided to listen to the first three again on audio to prepare for that last. Book 2 had me practically snoring through the entire thing. I remembered loving it the first time (the ending! ), but boy did it drag. I'm still listening to book 3 and honestly, if he shares the details of one more feast and the clothing the dwarves are wearing I think I might lose it. I'm still planning to finish that last book, mostly because I hate to leave the story hanging, but I might just skip the last 100 pages. I really hope he matures and writes better books in the future, or that he gets an editor who will ruthlessly take out all the filler stuff. Too bad! I like this series for what it is, so hopefully my not-so-high expectations means I will like this one (assuming I get it for Xmas). how disappointing! Now I don't want to read any of them....which is okay with me. Great review. However, I do want to clear something up for you and for some of the other commenting who made the same statement. CP did not finish this book when he was 15. He actually did not start the book until he was 15. He finished it when he was 19, and only then had it publish by his own parents rather than running around to actually publishing companies to get interest. After his first book came out it was played up as a huge deal by him being advertised as someone who wrote a novel at "15" that was now published which is only maybe 1/4 true. Couldn't agree with you more, what was his publisher/editor thinking. I think it is a great series, and I have no complaints, except fr the end of 4. It's not bad, but I have some questions. In several interviews, Pasolini said brom would come back to life, so when eragon left his body alone, I was disappointed. Also, what did the Menoa tree want in return? Eragon did not have to leave either. I disagree with all the negative reviews I've read. Namely yours Allie. You said he was to descriptive; in a story, description is everything. You make it sound like you wanted him to take EVERYTHING out that was description and only have a nine to eighteen page paperback. You also commented on him being unschooled and making references to cathedrals and gargoyles; Brom, Eragon's father, was a rider as well as the town 'storyteller'. I'd say that Eragon had heard about them from him. And as for the jailers fingernails; they held major plot significance on Nasuada's part. It was a means for escape, which was futile but still brought hope in her time of need. On one final note, You wasted your own time reading and rereading this series, if you didn't like it the first time it isn't like the words were going to change and make it a better tale. And the side stories were meant for character development. They were supposed to make you sympathize with each character and get to know more about them. And this sounds harsher than it's meant but forums are meant for reviews, not complaints. It is puzzling that the series has gotten such mixed reactions (love/abhor). My wife and I had a blast reading it out loud, but some of my friends were disappointed. The details debate comes down to personal preference. Stories don't "accomplish" anything strictly by mapping a beginning to an end. It is valid to say that too many details can ruin a desired pace and constrict the reader's imagination. But these books seemed to intentionally vary the pacing. If you liked Tolkien, you like side stories. If you can't stand Tolkien because of his 'needless detail,' you won't like these books for that reason. The writing had an amateur sound on occasion. But I could overlook that because I enjoyed the story. Furthermore, the books are free from the depraved decadence that plagues the fantasy genera. These are dragon books I can read to my kids. @ Cody: I think it's understandable that many have reviews in the form of complaints. I read all four and absolutely loved the idea behind the books and the story they told. That said, however, I felt incredibly let down by CP's failure at closing his epic correctly. The ending came across as a rushed termination of a series. He bought me with his first book and lost me on his third and fourth. I can only blame his editor / publisher for this (and of course him to a degree). The length of time between books was a little bit of let down and gave the feeling that they were maximising marketing. I would not call this a quality set of books. All in all the story is good but the execution is extremely bad. Good luck to him for the future, but this is one author I will stay away from for fear of getting too involved in a series before being bitterly disappointed at the conclusion. First of all i want to make clear that i havent started the fourth book, yet. So far, i see this obsession that CP has to over describe the outfit or the look of the characters in the books and i understand that many people didnt like it. However, i started reading the book when i was 14 years old. I liked it (-and i still like it) because i want to let my imagination create images of the characters i read of... that way, while i am reading the book, i have in mind something like a little movie. On the other hand, this is just a personal preference. I, too, noticed that the books become very slow-pacing in reading after you spend too much time reading it, but i dont think that descriptions are the cause... anyways, i liked how instantlly, CP rises my interest by just getting in the plot another dragon! I was SO EXCITED! I DONT CARE WHAT YOU SAY. 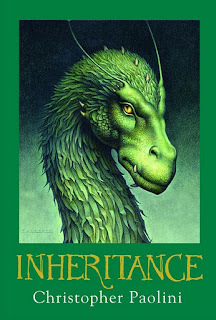 THE INHERITANCE CYCLE IS THE BEST BOOK SERIES EVER! EVERYONE OUT THERE DINT LISTEN TO HER! IT IS A GREAT TALE FULL OF FANTASY, LOVE AND ACTION! IT IS GREAT DONT LET SOME WITCH TELL YOU OTHERWISE. DONT LISTEN TO HER CRAP. THE SERIES IS SOOOOOOOOOOOOOOOOOOOOOOOOOOOOOOOOOOOOOOOOOOOOOOOOOOOOOOOOOOOOOOOOOOOOOOOOOOOOOOOOOOOOOOOOOOOOOOOOOOOOOOOOOOOOOOOOOOOOOOOOOOOOOOOOOOOOOOOOOOOOOOOOOOOOOOOOOOOOOOOOOOOOOOOOOOOOOOOOOOOOOOOOOOOOOOOOOOOOOOOOOOOOOOOOOOOOOOOOOOOOOOOOOOOOOOOOOOOOOOOOOOOOOOOOOOOOOOOOOOOOOOOOOOOOOOOOOOOOOOOOOOOOOOOOOOOOOOOOOOOOOOOOOOOOOOOOOOOOOOOOOOOOOOOOOOOOOOOOOOOOOOOOOOOOOOOOOOOOOOOOOOOOOOOOOOOOOOOOOOOOOOOOOOOOOOOOOOOOOOOOOOOOOOOOOOOOOOOOOOOOOOOOOOOOOOOOOOOOOOOOOOOOOOOOOOOOOOOOOOOOOOOOOOOOOOOOOOOOOOOOOOOOOOOOOOOOOOOOOOOOOOOOOOOOOOOOOOOOOOOOOOOOOOOOOOOOOOOOOOOOOOOOOOOOOOOOOOOOOOOOOOOOOOOOOOOOOOOOOOOOOOOOOOOOOOOOOOOOOOOOOOOOOOOOOOOOOOOOOOOOOOOOOOOOOOOOOOOOOOOOOOOOOOOOOOOOOOOOOOOOOOOOOOOOOOOOOOOOOOOOOOOOOOOOOOOOOOOOOOOOOOOOOOOOOOOOOOOOOOOOOOOOOOOOOOOOOOOOOOOOOOOOOOOOOOOOOOOOOOOOOOOOOOOOOOOOOOOOOOOOOOOOOOOOOOOOOOOOOOOOOOOOOOOOOOOOOOOOOOOOOOOOOOOOOOOOOOOOOOOOOOOOOOOOOOOOOOOOOOOOOOOOOOOOOOOOOOOOOOOOOOOOOOOOOOOOOOOOOOOOOOOOOOOOOOOOOOOOOOOOOOOOOOOOOOOOOOOOOOOOOOOOOOOOOOOOOOOOOOOOOOOOOOOOOOOOOOOOOOOOOOOOOOOOOOOOOOOO GOOD!!!!!!!!!!!!!!!!!!!!!!!!!!!!!!!!!!!!!!!!!!!!!!!!!!!!!!!!!!!!!!!!!!!!!!!!!!!!!!!!!!!!!!!!!!!!!!!!!!!!!!!!!!!!!! I read the first one when I was taking a YA lit class in library school. I found it incredibly derivative and the writing crappy. Honestly, I don't think it would have gotten the attention it did if he hadn't been 15. I never had any desire to finish the rest of it. He ripped off Lord of the Rings and Star Wars. There's nothing remotely innovative or interesting about it. If you want a great series about dragons, I recommend A Song of Ice and Fire by George R. R. Martin -- however, it is NOT for children. Haven't read the ASOIAF books, but I just can't bring myself to agree with people when they praise the series to the degree they do. I few deaths are both realistic and a good way to move the story forward, but when almost everybody dies..it just seem like a waste of time. I want to be transported and mystified, as well as sitting at the end of chapter with my brain buzzing. If I wanted meaningless bloodshed every mile and a half I would join the American Army and ask them to drop me off on the front lines, not reading books about it. That said, and to weer back into the topic at hand, my admiration for CP's work has not diminished with either age or the reading of review-wrapped complains. I find his descriptions refreshing, as it makes me able to put each place, person and heap of poo a place in my head. I enjoy stopping in the middle of a sentence and revel upon the sight I see. That might be because I am a world-maker at heart, but I still can't, for the love of me, understand why the series has gotten such hated reputation among those that view themselves as "literary" or "knowledgable". Jelousy comes to mind, as does arrogance. I agree with one very perticular piece of complaint though, and that is the ending. It was, in my very honest opinion, rushed and unfinished. 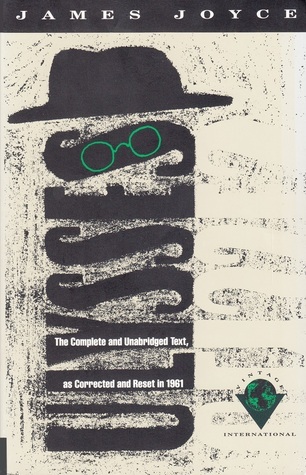 He should have ended the book with the climax, and write a sequel on what happened afterword. Other than that, and scattered dialouges that broke the flow of the story, I found the series to be worthy of my time. "I still can't, for the love of me, understand why the series has gotten such hated reputation among those that view themselves as "literary" or "knowledgable". Jelousy comes to mind, as does arrogance." I always love when people think the only reason works/writers might be criticised is because people are jealous or because they're "snobs." Isn't it perfectly reasonable that some people just don't like some books, some styles, some genres, etc? There are plenty of writers that are adored by many, who I just don't connect with. There are plenty of books and series' that have huge fandoms, that I didn't particularly care for myself. 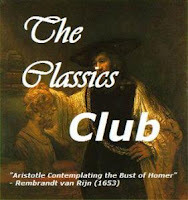 I might read classics and literary fiction, primarily, and that may color my responses to other genres, particularly YA, but why does that equate to arrogance or jealousy? I just like something else. This is hilarious. Glad you brought up this review/thread on your recent post, Allie! I have never read this series, but I've considered starting a few times. I've been dissuaded by others on Twitter who, like you, found it a disappointing waste of time. 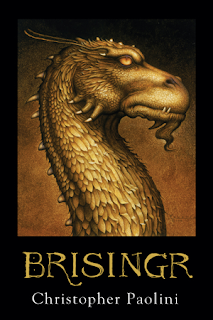 "Much better fantasy series' to delve into," seems to be the general consensus. I have nothing against writers who are published at age 15 - Rimbaud, for instance, was quite young when he started writing. As was Keats. Love them both. But, you know, they were brilliant. It's nice to see a review that, while not overly positive, is not simply condemning this series as trash. I personally love it,I love the secondary characters, but yes he does ramble and no, not every character grows. It's his first series, and while I hope he writes more, I do hope he learns how to do it better next time. I get the feeling his imagination ran away with him on this, and he simply crammed it all in the best he could. I really think the publishers and editors should've done more for his series. But it's not the worst I've read, there's one series where most likeable characters are killed off and the main characters don't learn a thing. Paolini does have some growth in his characters. If Paolini removed everything Roran POV, the series would have been more enjoyable and concise. My comment would be to those who suggest that Roran's part of the story should not have been included in the series. I have read the books multiple times and first of all I should say that I am one of Paolini's biggest fans. That said, I wan't to ask a question. If you removed the "side stories" about Roran and his travels, then when he and Eragon meet again what kind of explanation would there be for how Roran got there? In my opinion the so called "side stories" are essential to understanding the entire story and the series would be incomplete without them. I believe the books are a worthwhile read. I especially enjoyed the fourth book, as there was elements to it that I enjoyed, because it elicited emotion, and created a picture and feelings. I believe some perhaps dwell too much on the negative or stereotypical side of the story. After 100 years of rapidly published, many are prone to subconsciously have parts that are very similar to other books. The passages that were long, I just kind of mindlessly scanned through them, and since they were really of no use anyways, I didn't miss anything by the time the book moved along. Personally, I have a list, mentally, containing many errors, or parts that weren't done so great, but it is, in full, drowned out by the subject matter I did love. 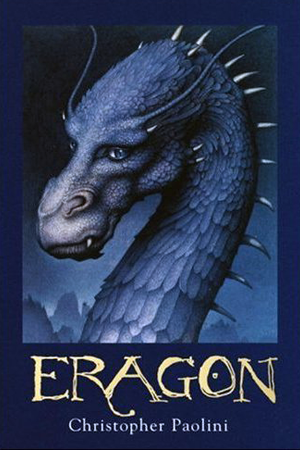 I was entranced by the relationship between Eragon and Saphira. I felt a connection between them. I was pleasantly surprised, and rallied at the "Vault of Souls" sequence in the 4th book, and I cried after learning the everlasting departure of Eragon.